In celebration of International Podcast Day 2016, Derek participates in a roundtable discussion with fellow comics podcasters, including John Siuntres of Word Balloon, Chris Marshall of Collected Comics Library, and John Mayo of Comic Books Page. The four of them talk extensively about their experiences in podcasting, the challenges of working with publishers and creators within the industry, their particular niche interests in comics podcasting, how their shows have evolved over the years, and their “wish lists” for growing as a podcast. Not only do the guys discuss the many facets of podcasting specifically about comics, they also share insights about podcasting as a social media platform. Find out more about International Podcast Day and how you can help promote podcasting worldwide. And be sure to share your thoughts on social media using #PodcastDay. Join the titans of comics media, the comics podcasters, for the 6th annual gathering at the San Diego Comic-Con. Get a front row seat to see some of your favorite comics podcasters discuss everything from the latest in comics industry news to behind-the-scenes stories. Podcasters appearing on the panel include Cameron Hatheway (Cammy’s Comic Corner), John Mayo (The Comic Book Page), Brian “Pants” Christman (Comic Geek Speak), Jimmy Aquino (Comic News Insider), Conor Kilpatrick (iFanboy), John Siuntres (Word Balloon), and Pat Loika (Loikamania!). Recorded at Comic-Con International, Thursday, July 21 2011. For the audio version, check-out Word Balloon‘s recording! Five years ago, the comics podcasting stars came together on one panel for the first time in San Diego, and now they’re back to discuss comics, podcasting, and how the comic book industry has changed since that first panel. Podcasters appearing on the panel include John Siuntres (Word Balloon), Josh Flanagan (iFanboy), Jimmy Aquino (Comic News Insider), Brian “Pants” Christman (Comic Geek Speak), Bob Bretall (The Comic Book Page), and Cameron Hatheway (Cammy’s Comic Corner). Don’t miss your chance to see all your favorite podcasters on one panel! Filmed at San Diego Comic-Con 2010. For the audio version of the podcast, listen over here at Word Balloon. Teenage Wasteland Episode 63 – What’s Up With Ethan Van Sciver? Ethan Van Sciver had a lot to say on his recent Word Balloon interview. 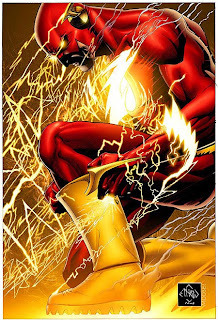 Health issues and the lateness of Flash: Rebirth seemed to grab the most attention, but there was something else that he said that really stuck out to me. Also, a few quick reviews and another installment of The Sandbox!